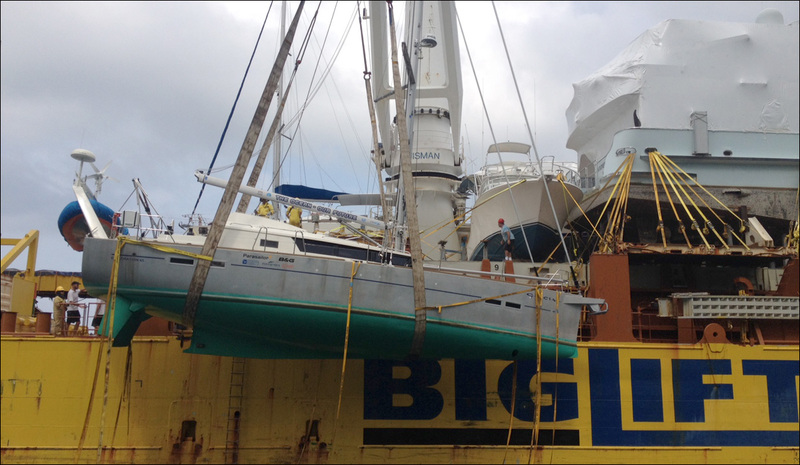 Home > Aventuras Log > Aventura on the move again … but not under her own power! 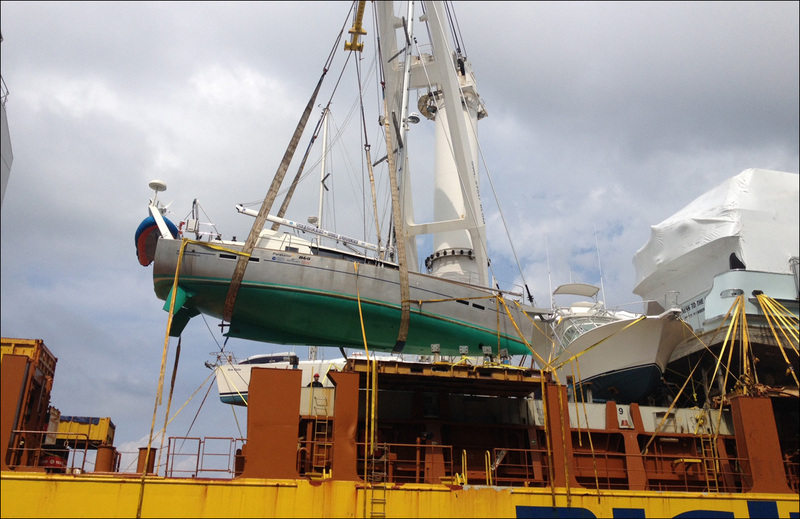 Aventura on the move again … but not under her own power! 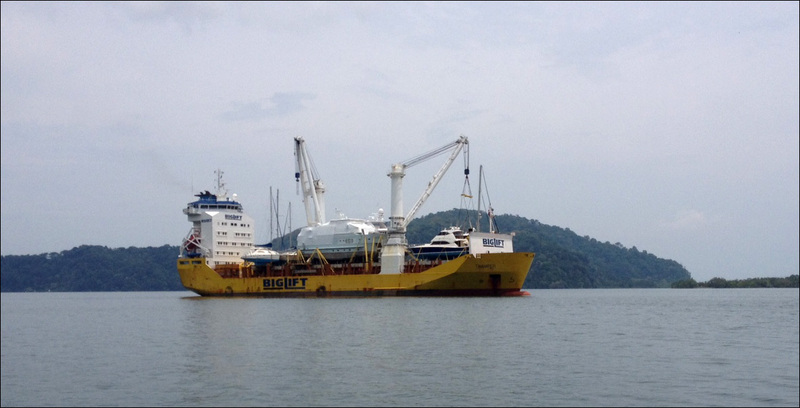 After four weeks of patiently waiting at Fish Hook marina in Golfito, Costa Rica, on Thursday 29 April Aventura was loaded onto M.V. 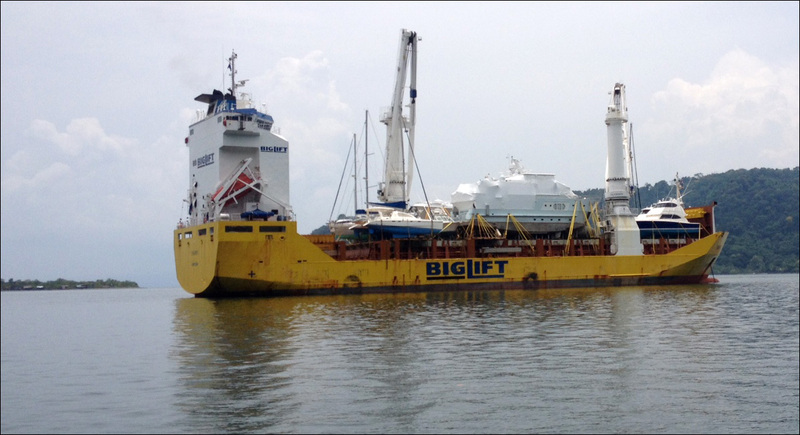 Tamper, a Sevenstar yacht transporter that will delivery her to Victoria BC, with an ETA on 15 May. Aventura will be based for one month in Seattle, while being prepared for a renewed attempt at the Northwest Passage. The plan is to leave Seattle by 20 June bound for Dutch Harbor. As the ice retreats from west to east, transits in that direction are usually easier to plan. So we hope to be able to be on our way north from Dutch Harbor by 20 July and start our attempt to transit the Northwest Passage by mid-August. But nothing is certain in that part of the world as we found out last summer. However, if everything goes well we hope to be through by early to mid-September. As the plan stands now, we shall then sail virtually non-stop from Greenland all the way to the Canary Islands because that’s where Aventura will be based during the coming winter. That’s the plan…. but reality will most likely turn out to be very different. As the saying goes: it is much easier to predict the past than the future! Wouldn’t life be so boring otherwise? 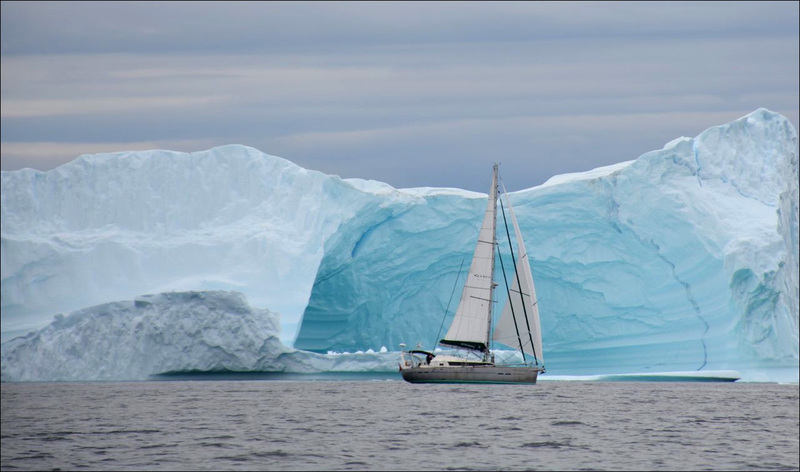 A New Attempt on the Northwest Passage? 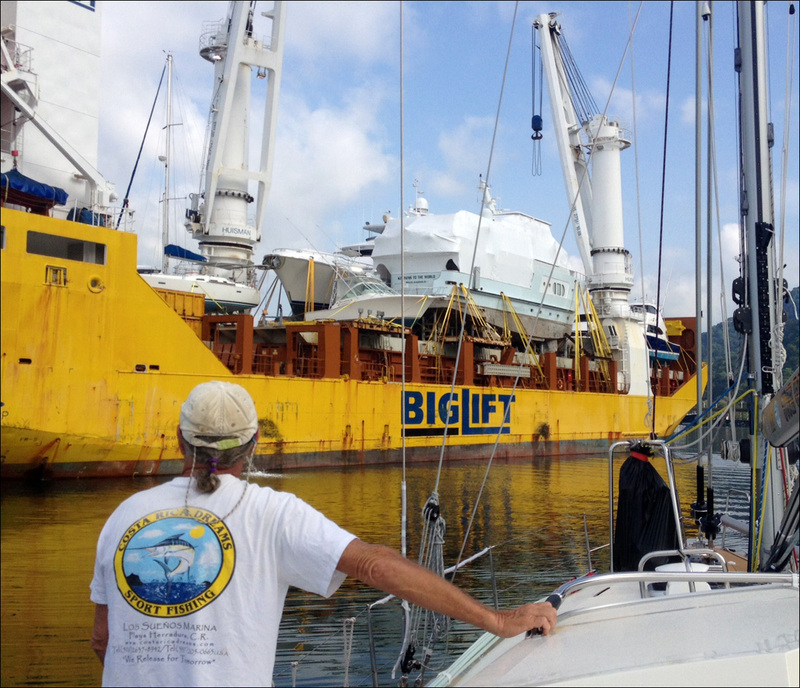 Northwest Passage – Here They Come!